Preparations are well underway as Central New York prepares to host boxing's biggest weekend of the year, International Boxing Hall of Fame Weekend. Star Boxing, in partnership with Turning Stone Resort Casino, today announced a new event for an already impressive boxing weekend - Zab "Super" Judah (44-9, 30 KOs) vs. Cletus "Hebrew Hammer" Seldin (23-1, 19 KOs). The fight will take place in the Turning Stone Event Center on Friday, June 7, 2019, as part of the 30th Anniversary of Boxing Hall of Fame Weekend. The evening's co-main event will feature James "Buddy" McGirt Jr. (27-3-1, 14KO's) facing off against David Papot (22-0, 3KO's), the same weekend his father James "Buddy" McGirt Sr. will be inducted into the Boxing Hall of Fame. 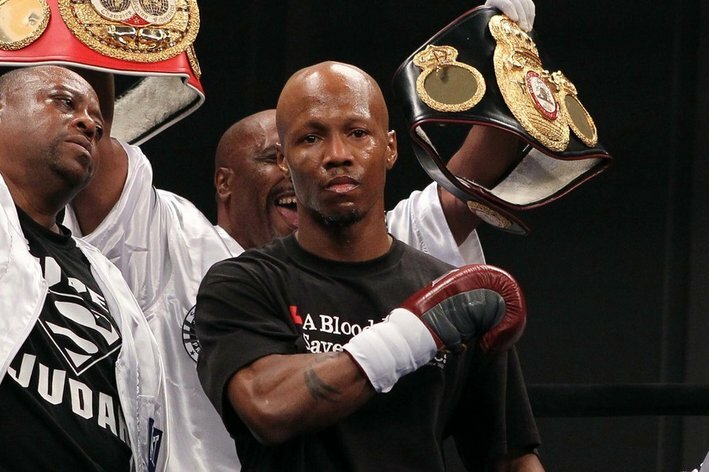 June 7th's main event features, Zab "Super" Judah (Brooklyn, NY), a six-time world champion, and the last undisputed welterweight champion of the world. The three-time New York Golden Glove champion made his professional debut at the age of 18, later holding world titles in three weight classes, capped off by his undisputed welterweight reign. Judah has defeated some of the most notable names in the business, including, Micky Ward, Lucas Matthysse and Cory Spinks (Undisputed Welterweight Title), and fought many other top fighters including Floyd Mayweather, Amir Khan, Danny Garcia and Miguel Cotto . Opposing the six-time and former undisputed champion will be New York's feared knockout artist, Cletus "The Hebrew Hammer" Seldin (Shirley, NY). Born from a tough line of Jewish-Americans, Seldin won the Ringside Amateur World Championship in 2009. As a professional, Seldin created buzz throughout New York as a knockout artist packing the Paramount with his "Hamma Head" fans. He broke on to the national scene when he devoured Roberto Ortiz at the Nassau Coliseum in a featured HBO fight. One month later, Seldin became the first boxer alongside Hall of Fame world champions, Mike Tyson and Roy Jones Jr. to fight in featured fights on back to back months on HBO. 83 percent of Seldin's wins have come via knockout. The veteran craftsmanship of former undisputed champion Judah, will have to weather the storm of the heavy-handed New York brawler in Seldin. On the biggest weekend in boxing, with many Hall of Famer's in attendance, #JudahSeldin is bound to set off fireworks at Turning Stone on June 7th. In the co-feature bout, James "Buddy" McGirt Jr. (Vero Beach, FL) will look to tip his hat to his father, James McGirt Sr. who is being inducted into the International Boxing Hall of Fame during the same weekend, when he takes on tough Frenchman David Papot (Saint-Nazaire, France). McGirt compiled an impressive amateur record of 44-4 winning the Sunshine State Games and the Southeastern Regional. As a professional McGirt has also found success and has faced some well-regarded fighters in his division, including, Carlos De Leon Jr., Edwin Rodriguez, and Raymond Joval. His opponent, undefeated Frenchman David Papot is taking the trip across the Atlantic Ocean with intentions of ruining the McGirt family weekend. Papot had 102 amateur bouts, 30 of which were with the French National team, earning French National Champion honors two times. In 2017 Papot earned the WBA Continental Middleweight Title, and later that year became the French National Super Welterweight Champion, having since defended the title three times. [QUOTE=KillaMane26;19660579]Crazy thing is. If Judah was mentally right from the start he woulda dominated into late age like Floyd. Imo[/QUOTE] Nah.... Couldn't handle Clottey's style and Khan's speed mentally right or not. [QUOTE=KillaMane26;19660579]Crazy thing is. If Judah was mentally right from the start he woulda dominated into late age like Floyd. Imo[/QUOTE] he needed better opponent selection like floyd. tsyzu? no thanks. undefeated cotto? no thanks. baldomir? hell no!